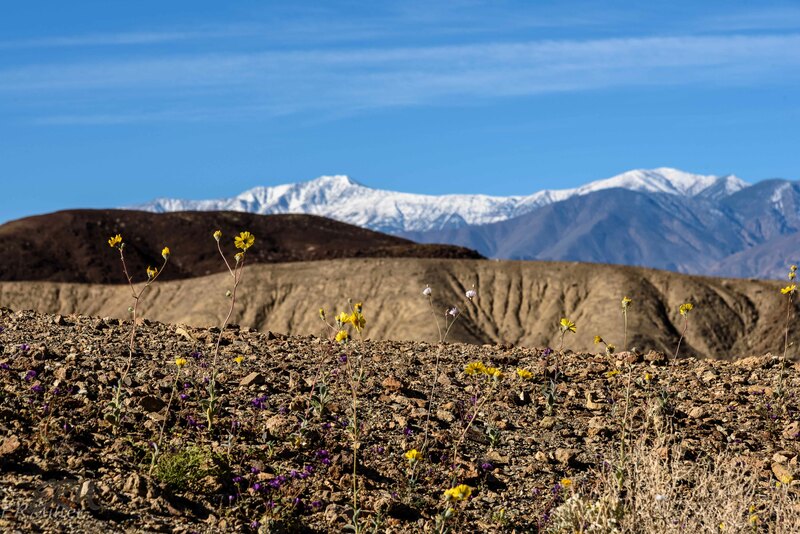 Also known as desert sunflower, this is the plant you see carpeting Death Valley* in years when the conditions are right (eg wet winters). It’s an annual that can stand up to three feet tall (the three plants pictured above are unusually small specimens), and has hairy stems, and hairy, sage-green leaves that are sessile, oval at the base, and long-tipped. 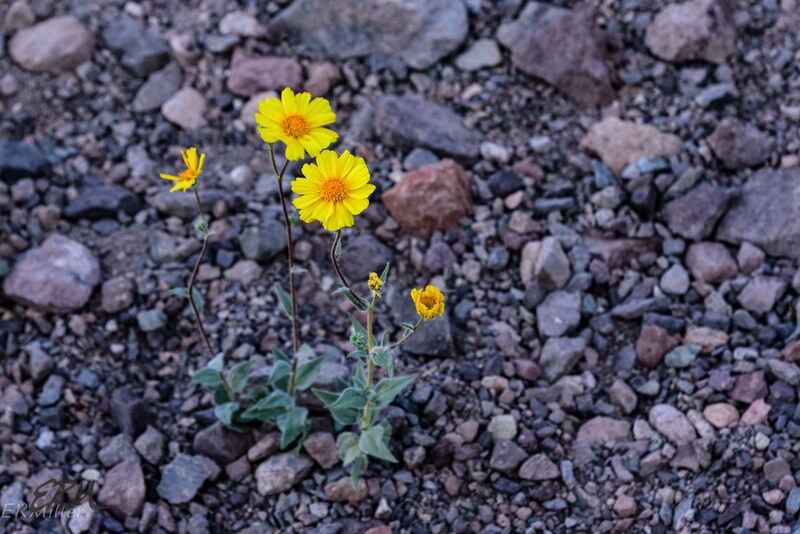 Desert gold is native to the desert Southwest (California, Nevada, Utah, and Arizona). 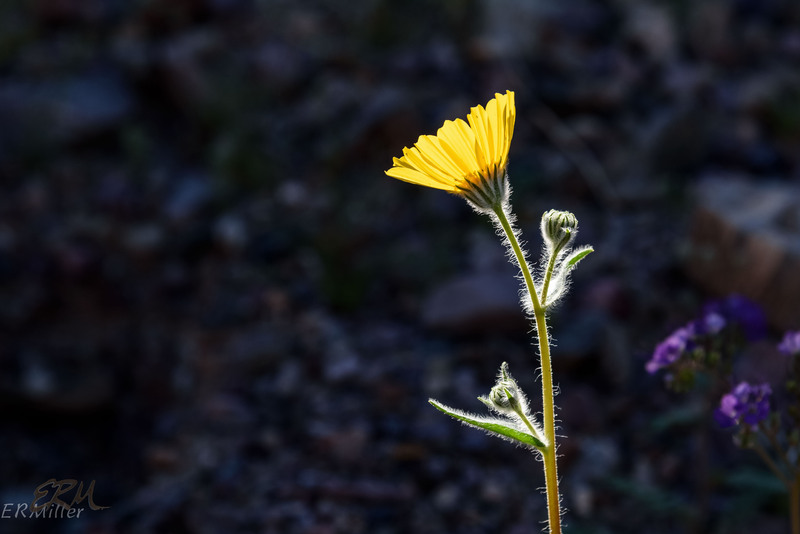 This entry was posted in Uncategorized and tagged Asteraceae, Death Valley, desert gold, desert sunflower, Geraea by elizabeth. Bookmark the permalink. I really like the dessert gold profile picture with the purple flowers out of focus. Great shot. Do we have something in this family in the Northeast? It looks familiar. Cheryl – not sure about where you live, but almost certainly. Asters are almost ubiquitous. See today’s post about “DYCs”.